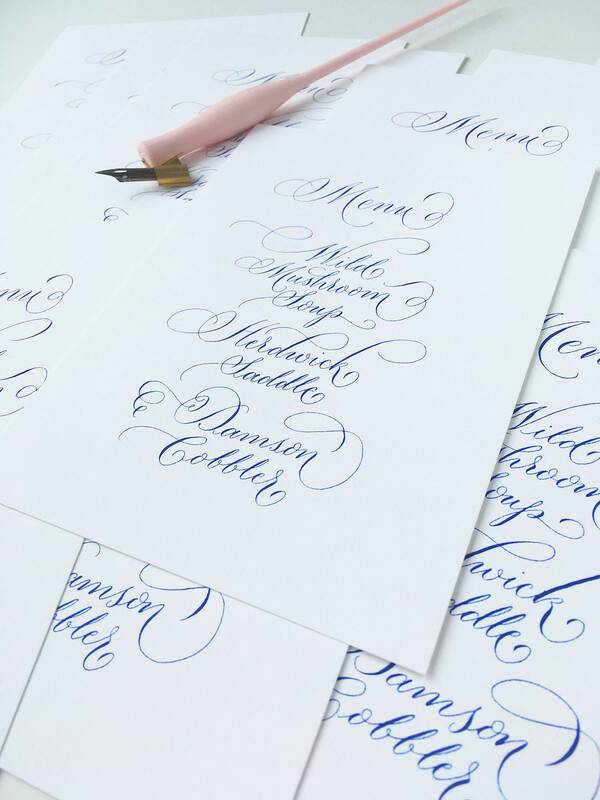 Beautifully handwritten calligraphy wedding menu cards to add elegance to your wedding tables and remind your guests of the delights they're about to enjoy! 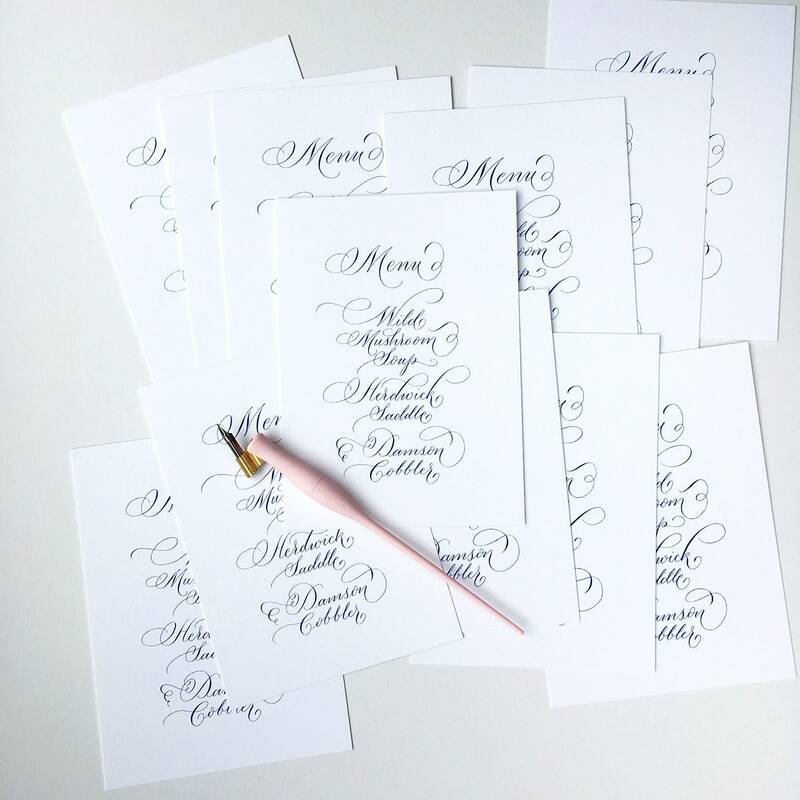 These are completely bespoke - I can add names if you'd like to use them as place settings. 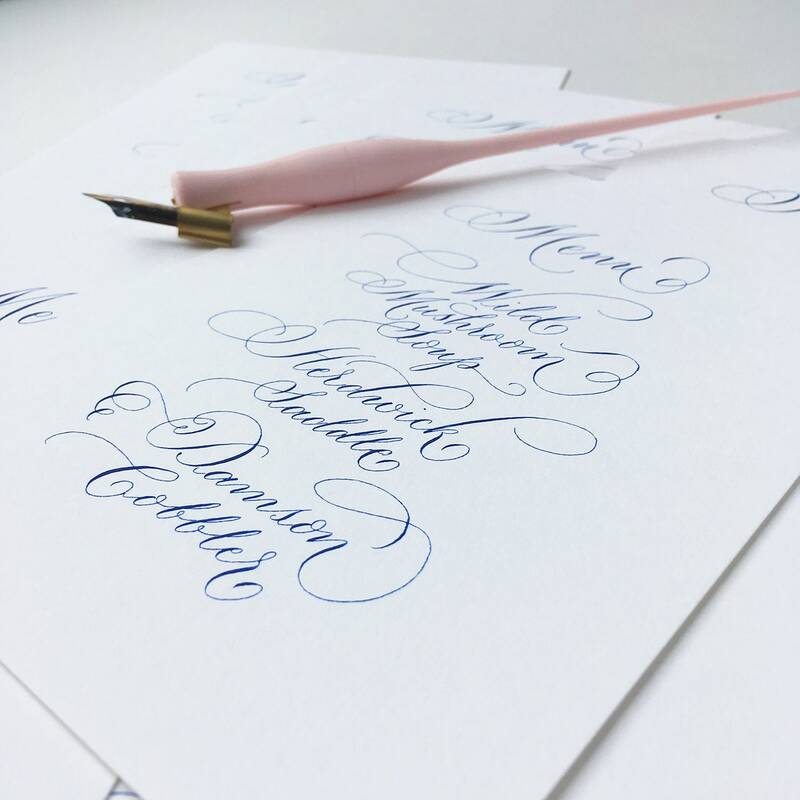 I mix my own calligraphy inks, so you can choose this stunning blue or any other colour to suit your theme. Grey, sage green, coral and gold are all popular colours right now. 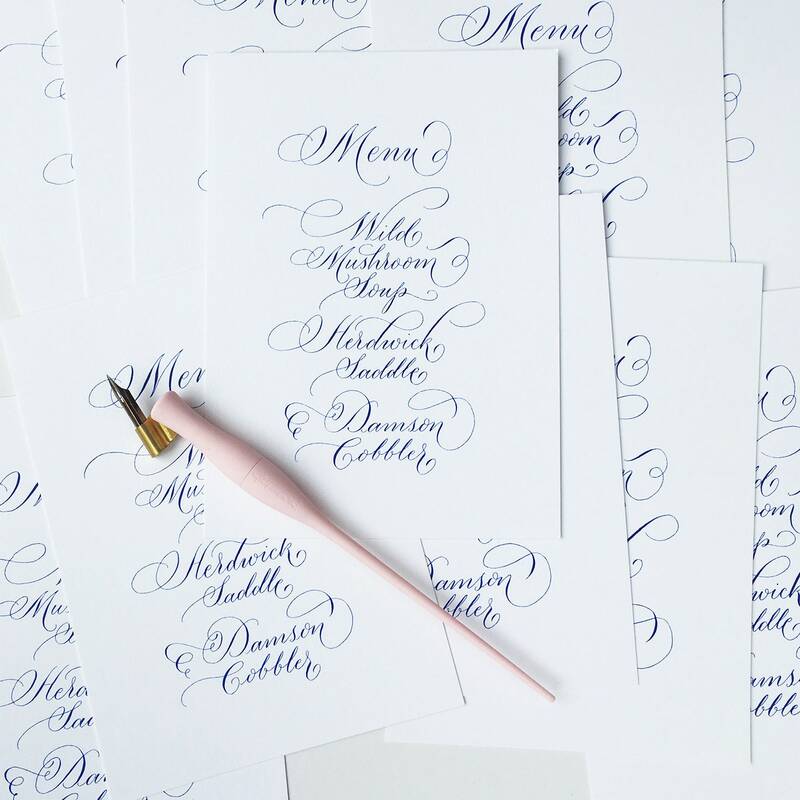 Colour paper options are available too: gold ink on navy card is a fabulously sophisticated look. White lettering on a grey background gives a modern twist to the look. 2) Choose the correct word length in the drop down box! 0) If you have any questions before you order, just find a 'message the seller' button and ask - I'll be happy to help!